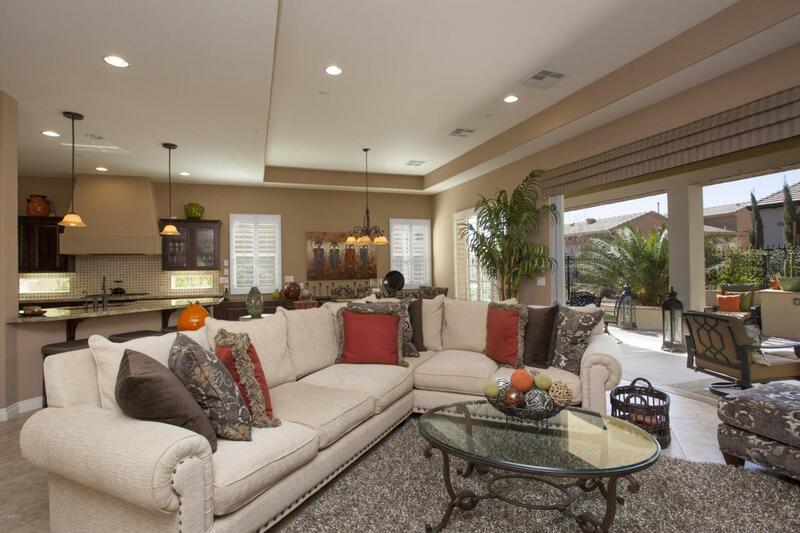 This gorgeous home offers a detached Casita that is ideal for your long-term guests or it's perfect for a home office. It even offers an owned, 4KW solar system for top-of-the-line energy efficiency. The home is situated on a quiet cul-de-sac street and offers plenty of privacy. The front courtyard offers an abundance of space for your casita guests. 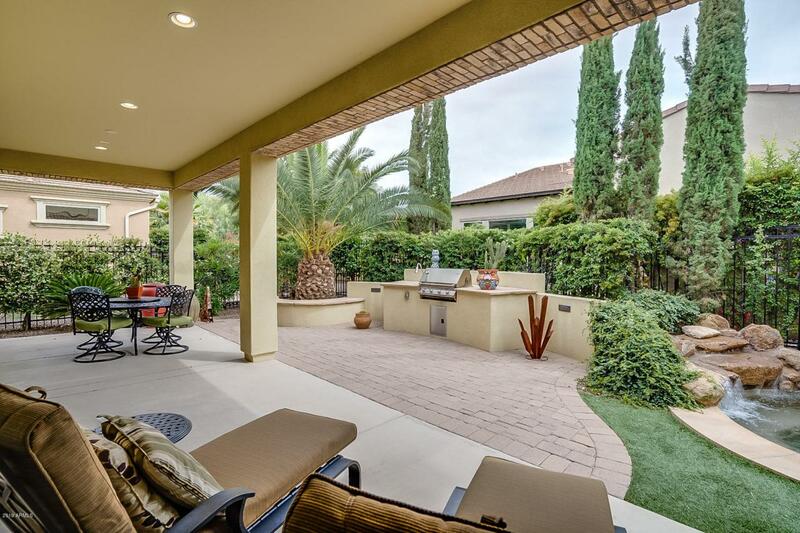 You can entertain friends and family in the front courtyard around the gas fireplace. Step inside the main home to a spacious great room. 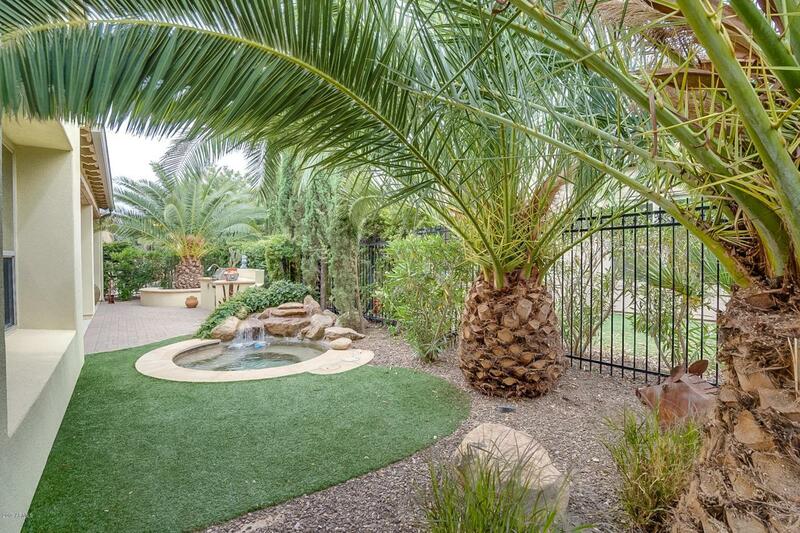 Walk out back past the rolling wall of glass to a backyard oasis. You'll find mature trees, turf grass, built in BBQ grill and a heated in-ground spa. You'll want to spend any chance you can get in this beautiful backyard. The kitchen is well appointed with a double oven, warming drawer and built in fridge.